Besides the fact that the building is of an absolutely decadent beauty and that it reunites many arts in its midst (Lyrical art! Dancing! Painting and a Chagall ceiling! Literature and the phantom of the Opera! Architecture! ), the Opera house perfectly illustrates the rule of will. Louis XIV’s will – at once a great, averagely illuminated dictator and a short king in heels, who found grace only in dancing – to institute what would later be named classical danse. The Sun King is in his rightful place at the Garnier Opera house, in the little vestibule next to the Grand Foyer, where a golden sun shines from the black ceiling (I actually lay down on the floor to get this shot. So chic). Napoléon III’s will to erect this huge, extraordinarily luxurious and opulent building, a recognized and acknowledged symbol of the Haussmannian transformations going on in Paris at the time. 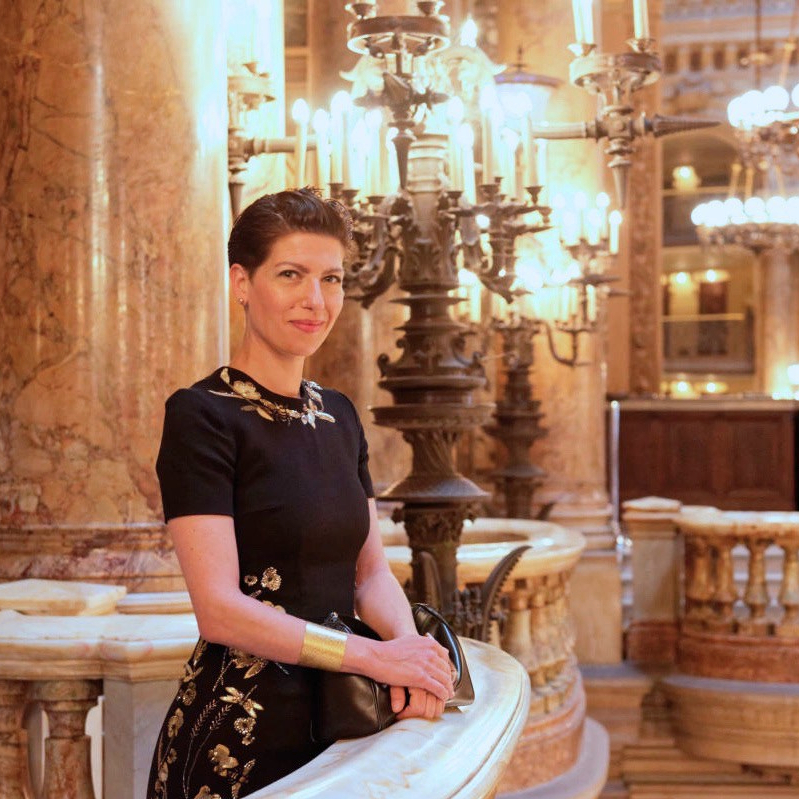 Most of all, the steel-like will of the dancers who chose the Palais Garnier as their home. I particularly admire classical dancers, because it is the only discipline – that I know of – where extreme physical performance meets art. Such a physical performance must yet disappear completely behind the art. Classical dancing is a way, an art of life that could be applied to all areas of life: an extreme effort hidden by a casual appearance and endless ease. I admire that way of life, which I see as full of a confounding dignity. Perhaps because I still wear by ballerina shoes from time to time. Perhaps because I only choose front row seats when I watch ballets so that I can see the muscles tremble and bend slightly from the intense effort, because that moves me infinitely. Perhaps because I find it to be the utmost curtesy to others but also to oneself than to face the gusts of life with discipline and serenity.